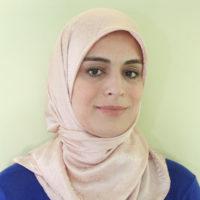 Zahra Seif-Amirhosseini Rafie is a Social Scientist, holding a PhD in Sociology and International Relations from London School of Economic and Political Science, London, England. She obtained her masters degree from University of Cambridge in Islamic history and Philosophy, and her BA (Hon.) from University of London, Goldsmiths College in Sociology and Philosophy. She is an Associate Professor of Sociology at Nova Community College. She’s also a freelance consultant and researcher. Her latest research project is Youth Empowerment, Ethics, and Islamic Studies curriculum for ages 11+. She recently completed research on Muslim Homeschoolers in the greater Washington metropolitan area for the International Institute of Islamic Thought (IIIT: http://www.iiit.org/). Her area of specialty is social theory and development, gender and the Middle East in general, Iran in particular. She has been involved with social activism in the fields of gender equality, minority rights and youth initiative and leadership programs since 1990. She helped organize the Muslim Youth Association of Greater London through the Al-Khoei Foundation in London, as well as the first domestic violence helpline and shelter for Muslim women. She was a volunteer at the Iranian Community Center in London, working closely with Iranian refugees, in particular helping women and children adjust to their new homeland. She has worked with many international organizations such as Amnesty International and UNICEF and continues her passion for social justice through NGO and community based work. She has recently been involved with inter-faith and intra-faith dialogue. She has been teaching, lecturing and consulting for over 14 years. She has taught at many prestigious universities both in England such as the London School of Economics and Political Science and in America such as Georgetown University.